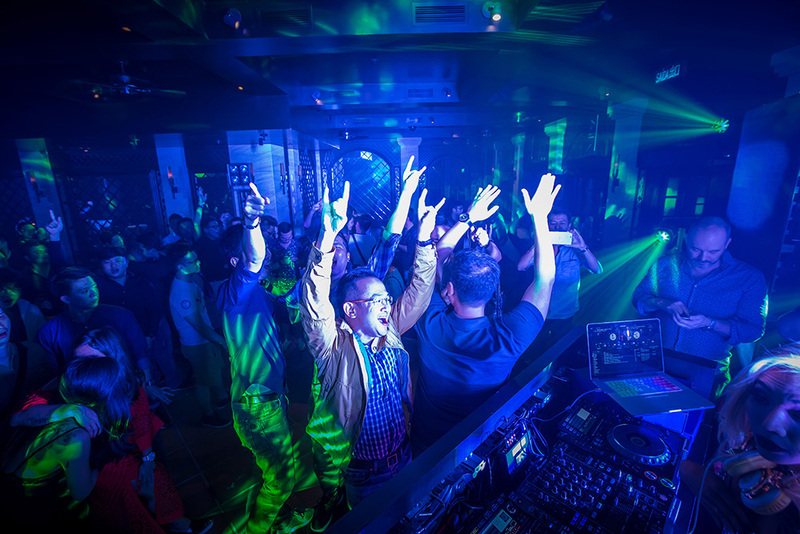 Stay on top with what’s happening and check out the latest news, new and upcoming events, and see what it's like to be part of the IDNPlay community. Access all of our online portfolio through the links below. Newest Poker game : Pot-Limit "OMAHA"
June 7, 2018 - Newest Poker game : Pot-Limit "OMAHA"
We have a new game scheduled to be launched a week before Ramadan. "Pot Limit Omaha” is scheduled to be launched on June 7, 2018. This 19th of April 2018, IDNPLAY will be launching its newest multiplayer game, Super10. Super10 is a simple game inspired by Samgong, otherwise known as Three Pictures game. 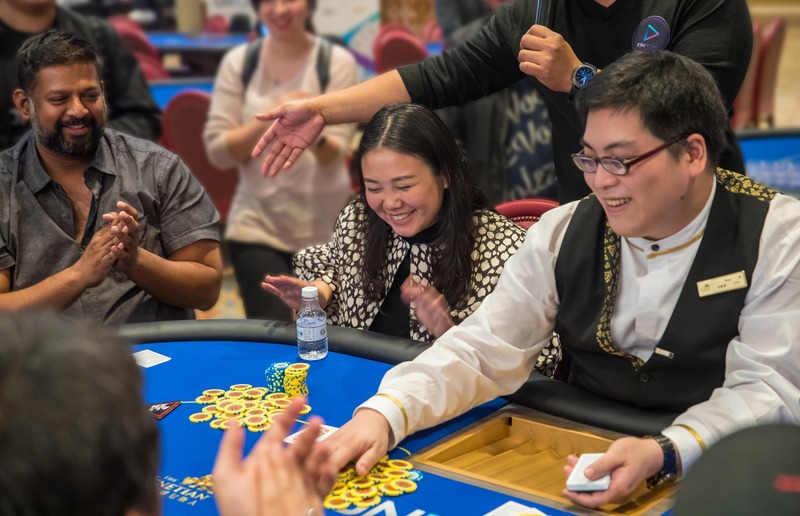 While Samgong or Three Pictures is played against a dealer, Super10 lets players compete with each other. This game is only available to players of IDNPLAY so don’t miss out on what could be Asia’s latest game craze. 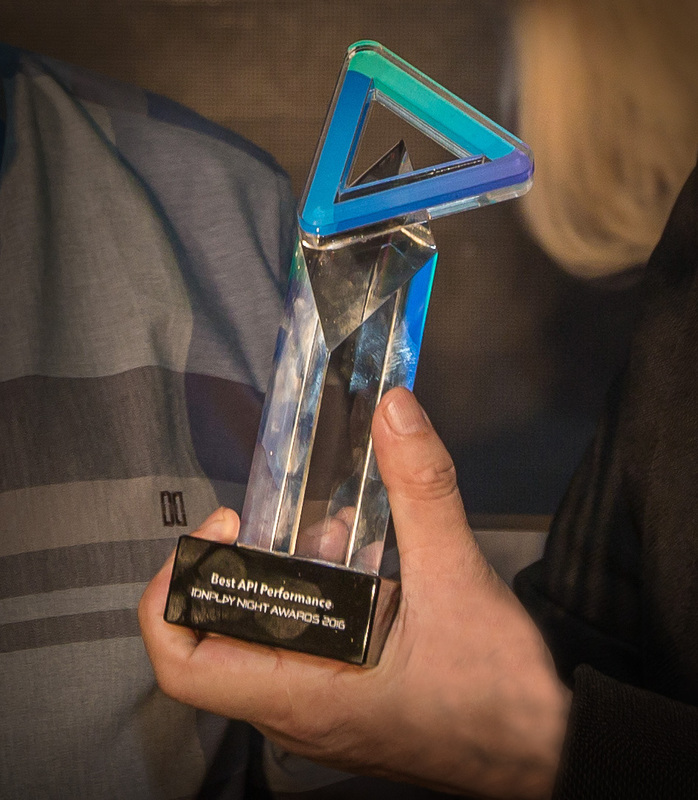 Super10 is the first of the many games that IDNPLAY is currently developing. 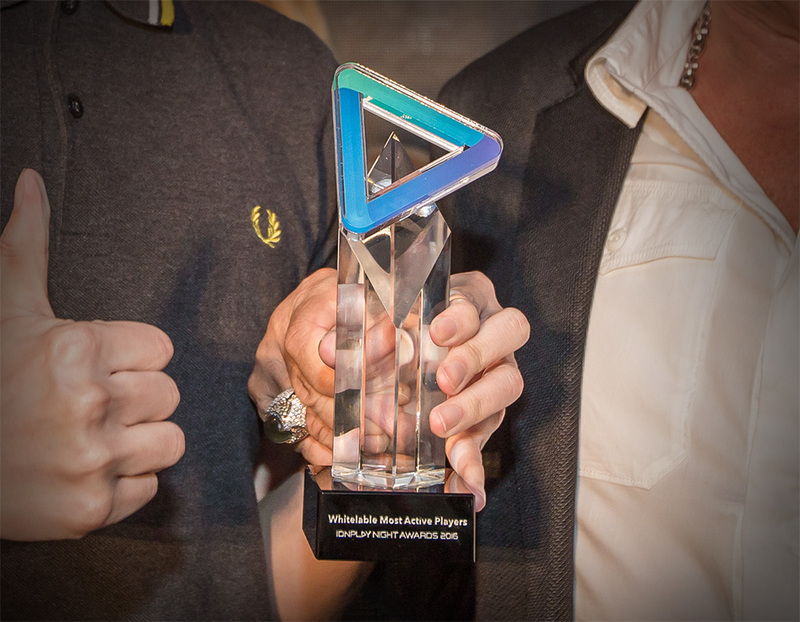 With the expansion of their game collection, IDNPLAY is out to prove that they are not only the best gaming platform in Asia but also an innovator in game development. 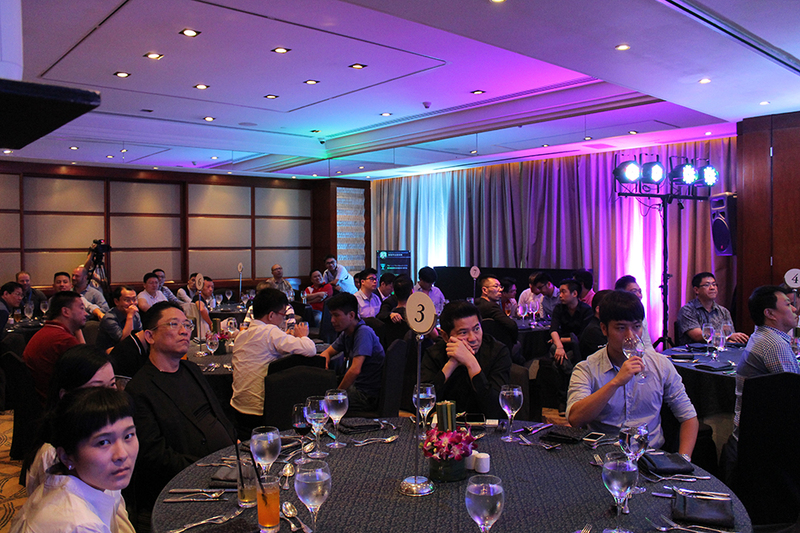 IDNLIVE is more lively with its new feature, the Multi-table. 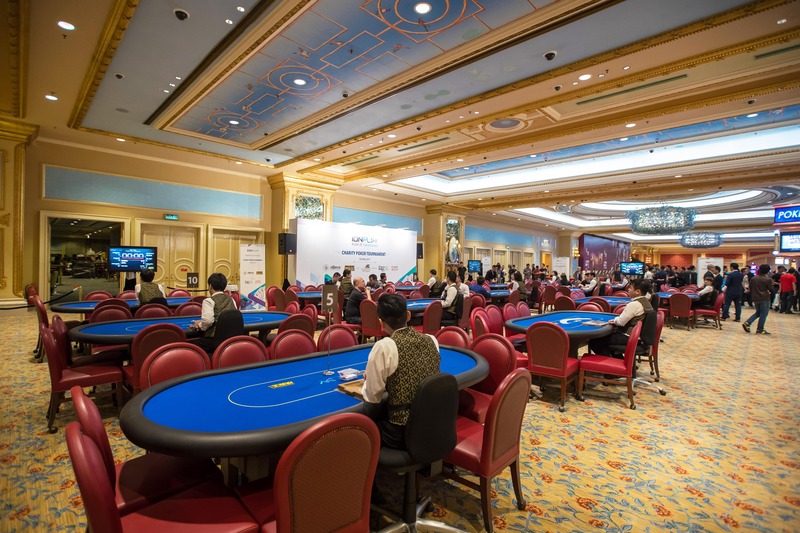 Now, players can bet on multiple tables while playing their favorite games. 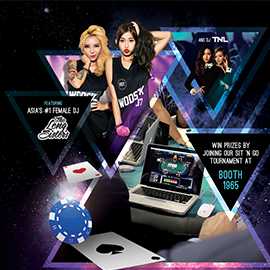 Play Billiards, Head Tail, and Roulette simultaneously or try IDNLIVE’s newest games, such as Gong Ball and Suwit. 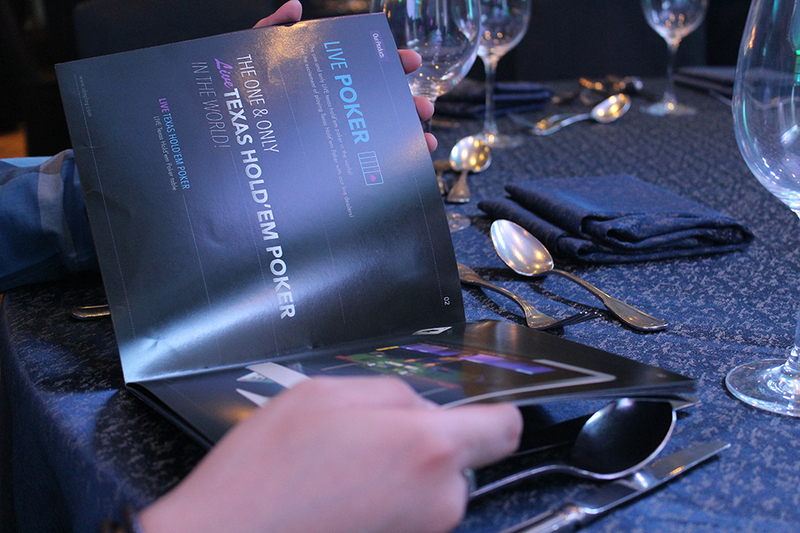 Gaming is more convenient than ever with the Multi-table feature. Play now and experience the newly updated and feature-packed IDNLIVE. 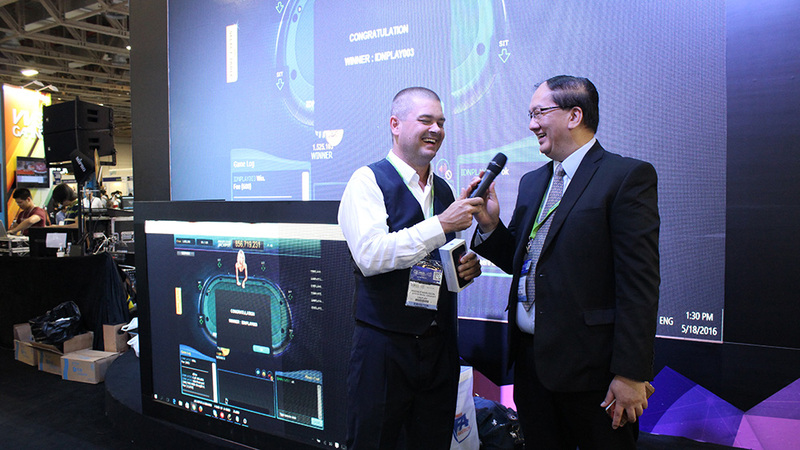 G2E Asia 2017 was indeed a major success. More than 400 exhibitors participated in the event attended by thousands of visitors hailing from different parts of the world. 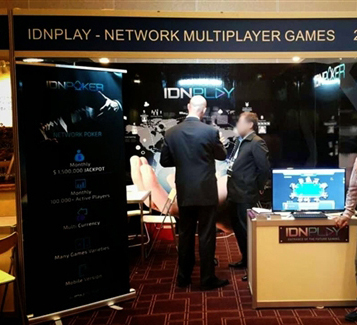 During the event, IDNPoker took center stage and demonstrated how the future of gaming looks and feels like. 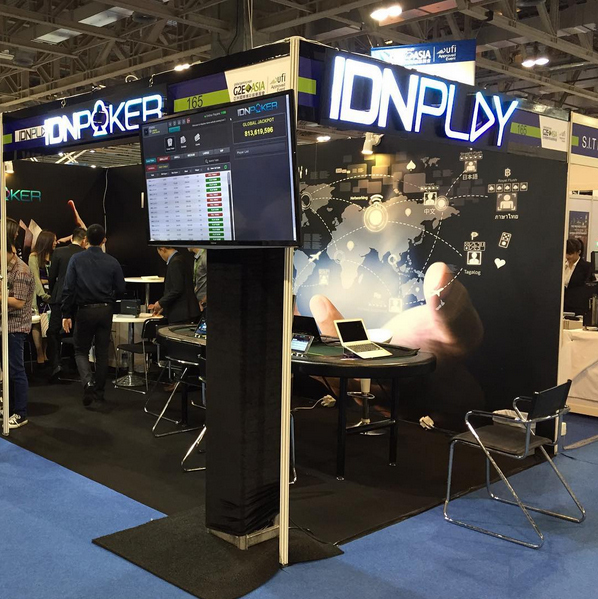 IDNPoker is IDNPLAY’s flagship product which took them to become the largest multiplayer network in Asia and, as of 2017, the #2 online poker network in the world. 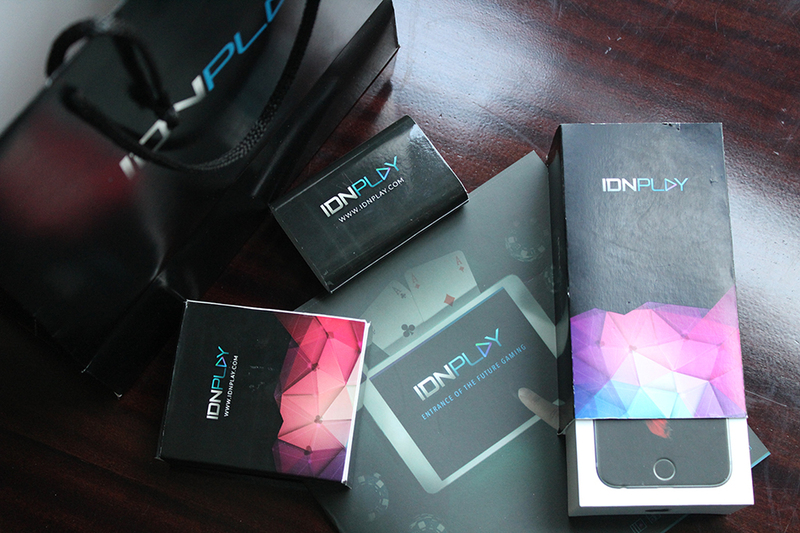 IDNPLAY’s exhibition stood out with their amazing gifts and giveaways during the event including iPhone, iPad, and Apple Watch. 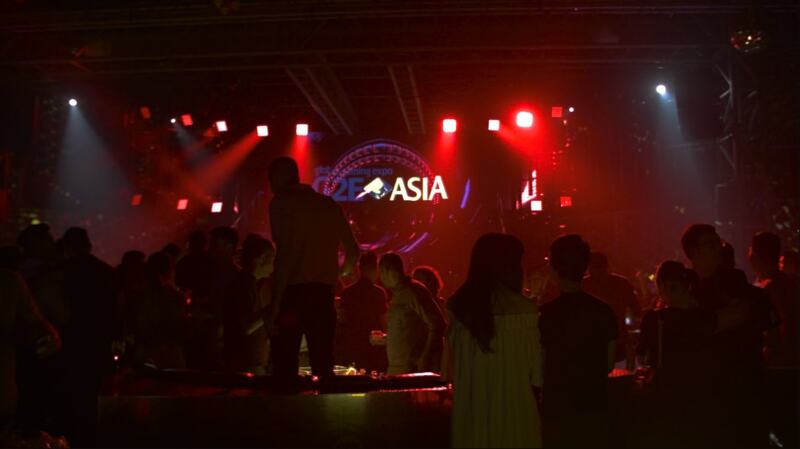 Aside from their mini-games, there were also guest DJ performances from top DJs in Asia including The Leng Sisters. 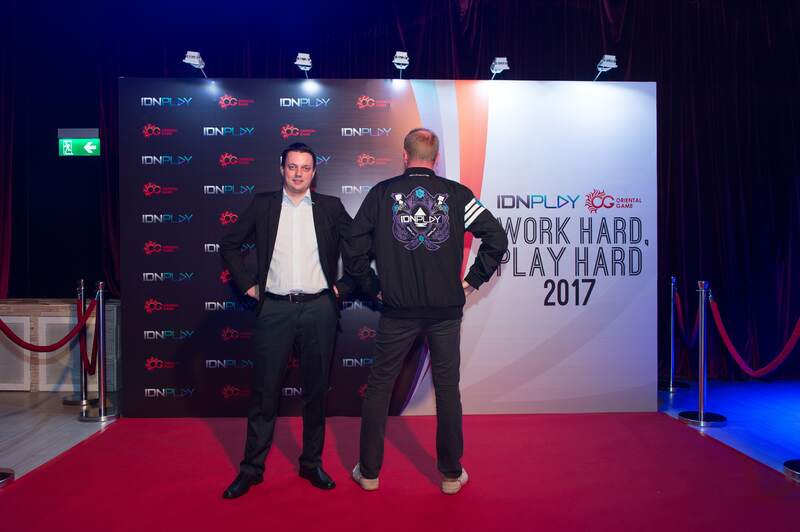 With all their success in poker rankings and event hosting, 2017 is indeed IDNPLAY’s best year to date. 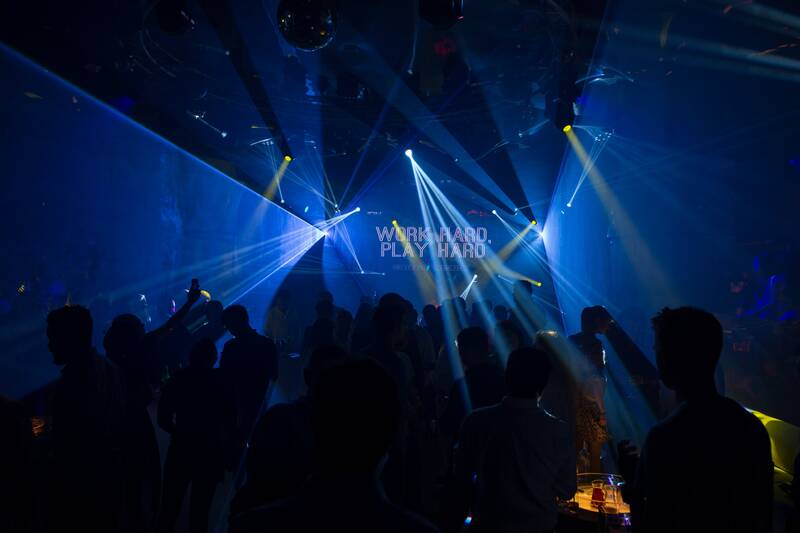 From just a newcomer to becoming one of the best brands in the industry, we can definitely expect greater things from IDNPLAY. 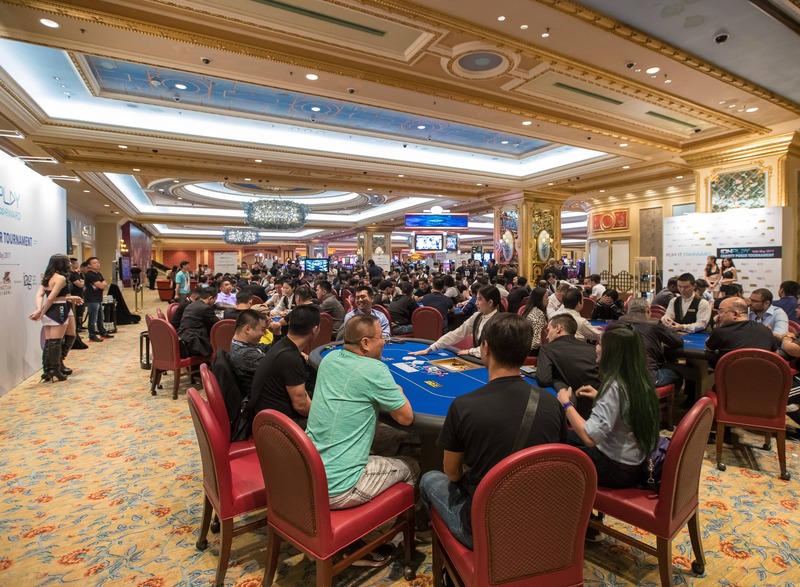 The annual G2E Asia is almost at hand and IDNPLAY, together with other participants from all around the globe, are actively preparing for this much awaited event. 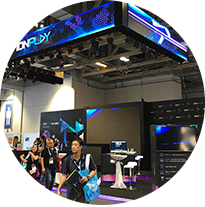 This 3-day convention will showcase industry forums about the Asian Market and the future of Gaming Operations and Technology and a trade event for iGames. 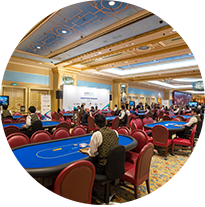 The annual Global Gaming Expo in Asia happening on May 16-18, 2017 at the Venetian Macau is organized by the American Gaming Association (AGA) in partnership with Reed Exhibitions Greater China to ensure the progress of the Asia Gaming Industry. 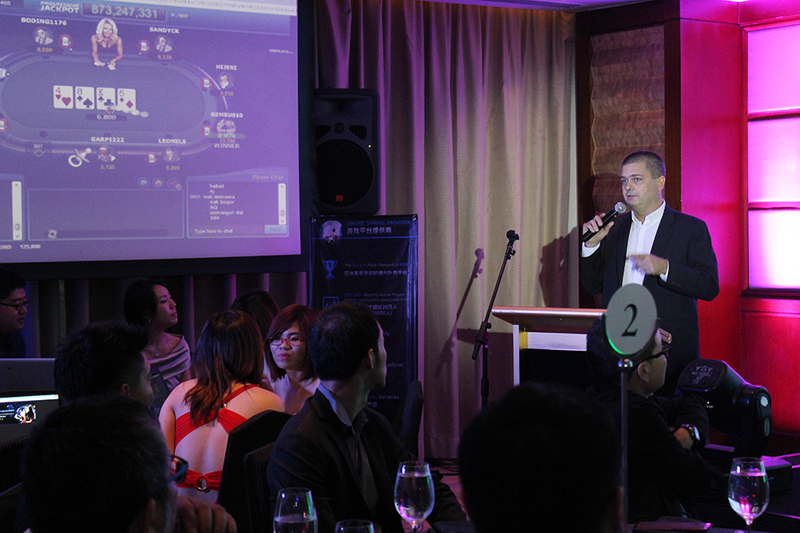 This event serves as a sourcing platform for entertainment and gaming products to casino operators in Asia. 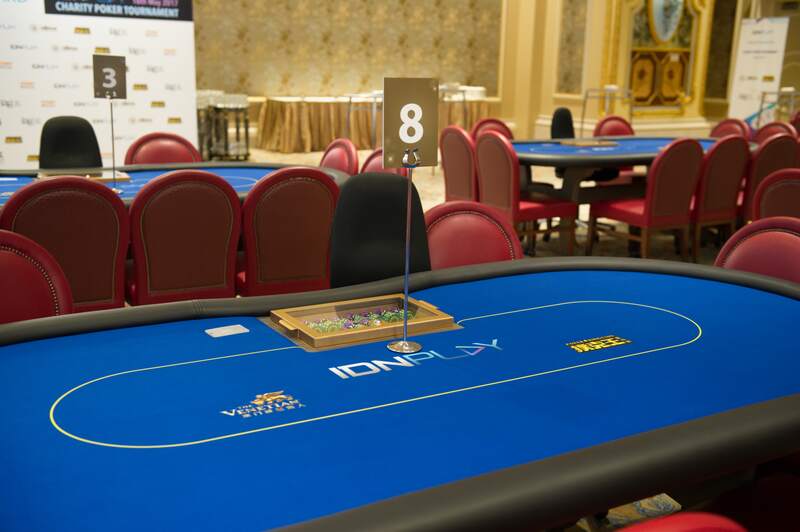 Aside from participating in the iGaming Summit, IDNPLAY will also host a series of social affairs to add to the event beginning with their annual charity poker that will be held at the Venetian Casino poker area. 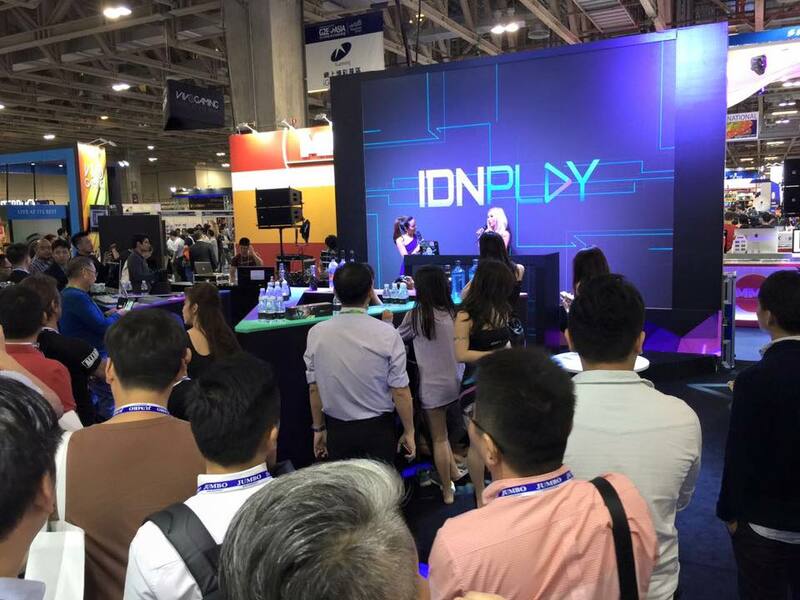 Another event to look forward to is IDNPLAY and Oriental Game's collaborative event to show their gratitude and appreciation to all of their present and potential customers. 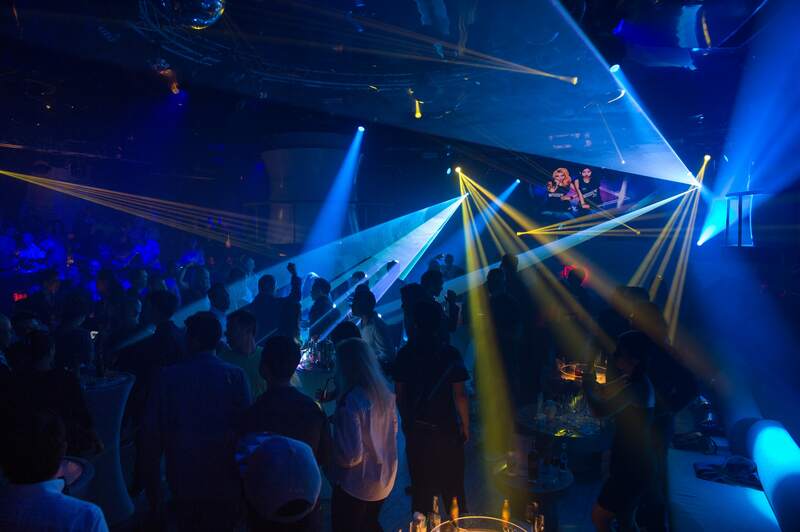 The event will include special performances and a party hosted by a famous Asian female DJ. 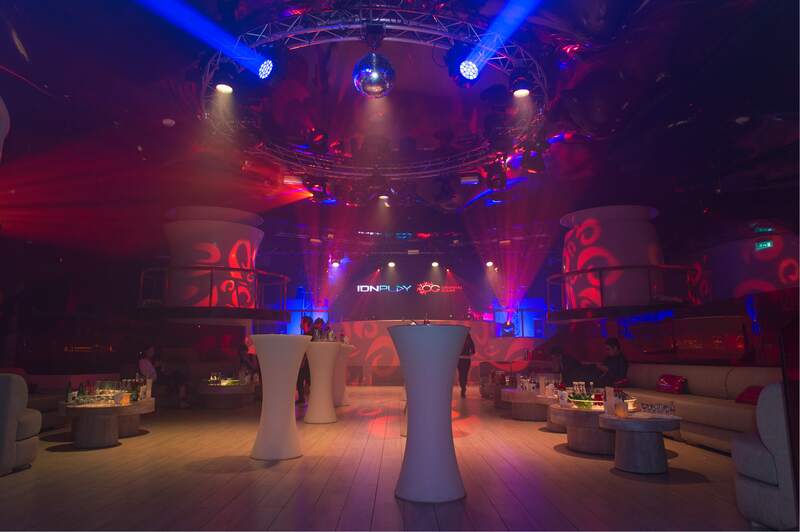 IDNPLAY has gone all out with the preparations this year so we can expect great stuff coming from Asia's #1 poker network. 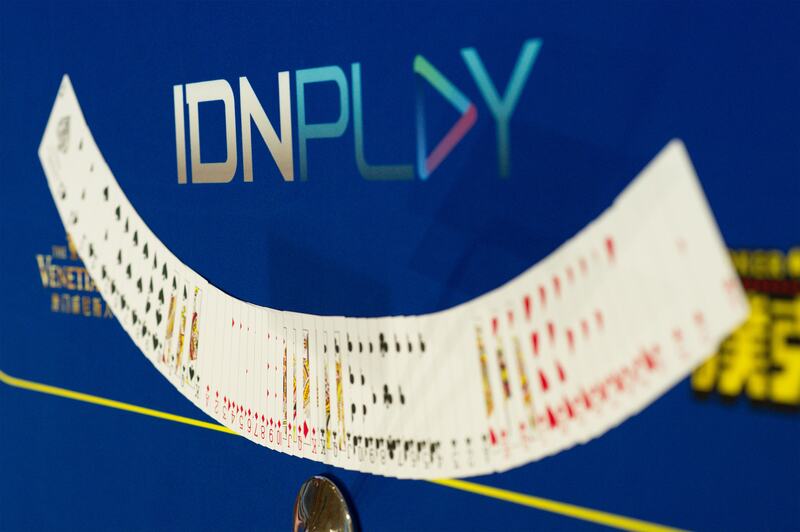 See firsthand what IDNPLAY is all about at booth number 1965. We hope to see you there! Advance mobile & tablet application compatible with the best platform iOS , Android, Windows phone! 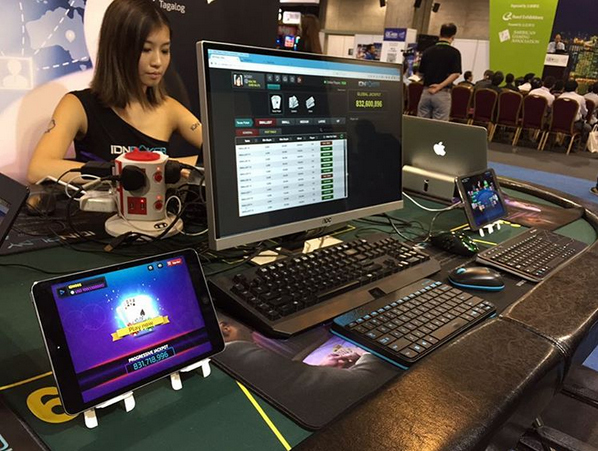 Easy way to play Poker Anytime, Anywhere. Whether you are new to the game, or just need a refresher, We have what you need to learn how to play our games. 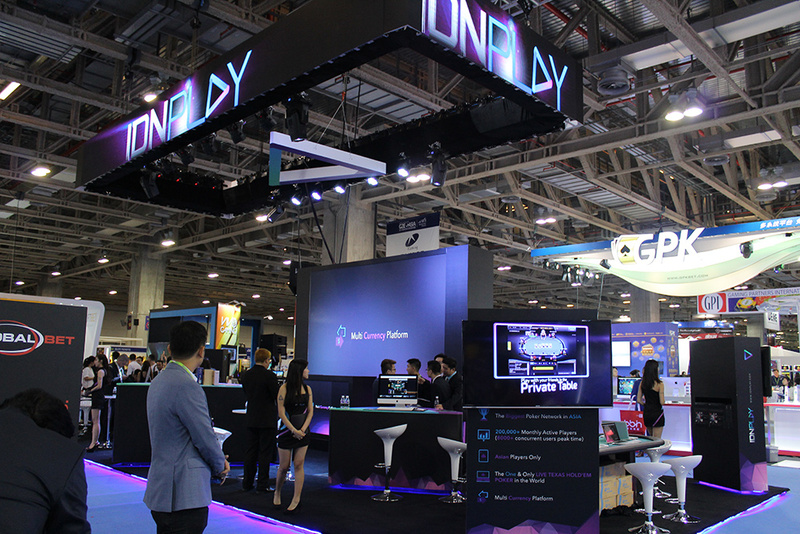 After participating in 2015, this year IDNPlay back participated in G2E ASIA GLOBAL GAMING EXPO 2016. 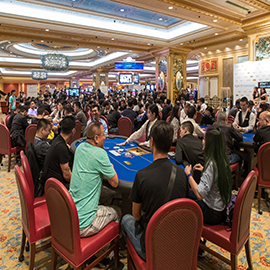 Just like last year, G2E ASIA GLOBAL GAMING EXPO 2016 is not only attended by the gaming platform of Asia but also from Europe and the United States participated. 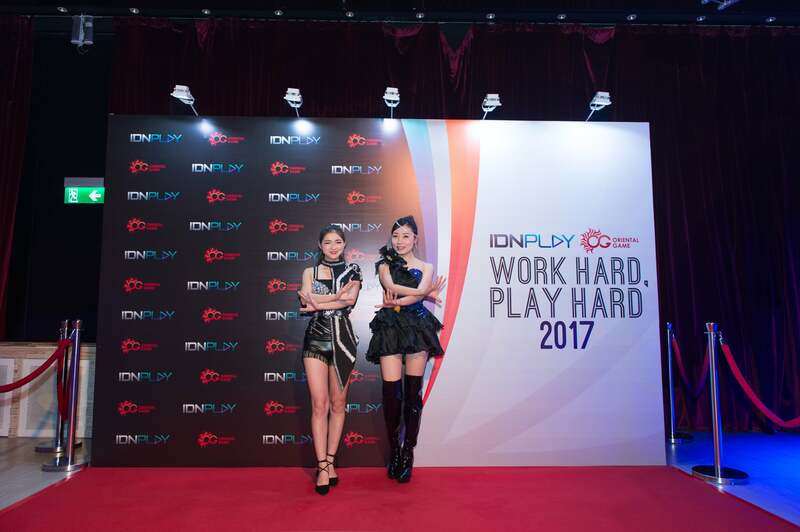 What makes the difference from last year, IDNPlay not only show off their products, but we held Online Poker Tournaments and Night Party enlivened by DJ Leng Yein which is number one female DJ in Asia. 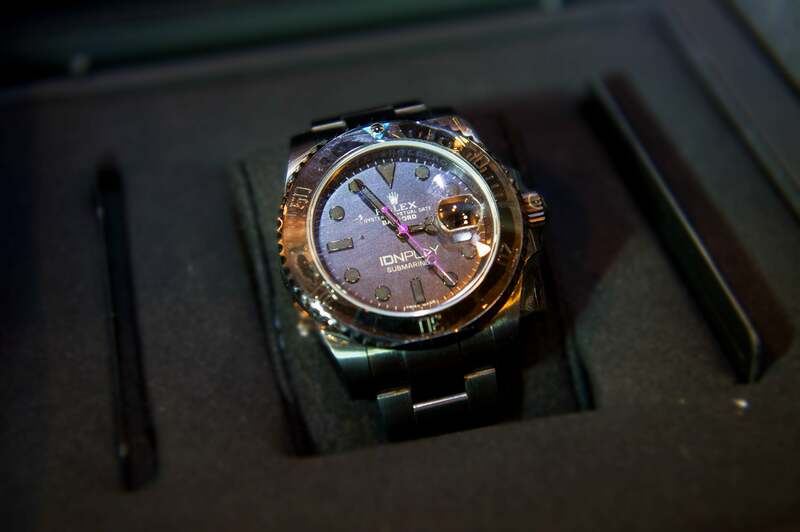 Online Poker Tournaments that we conduct will be rewarded Rolex Daytona. 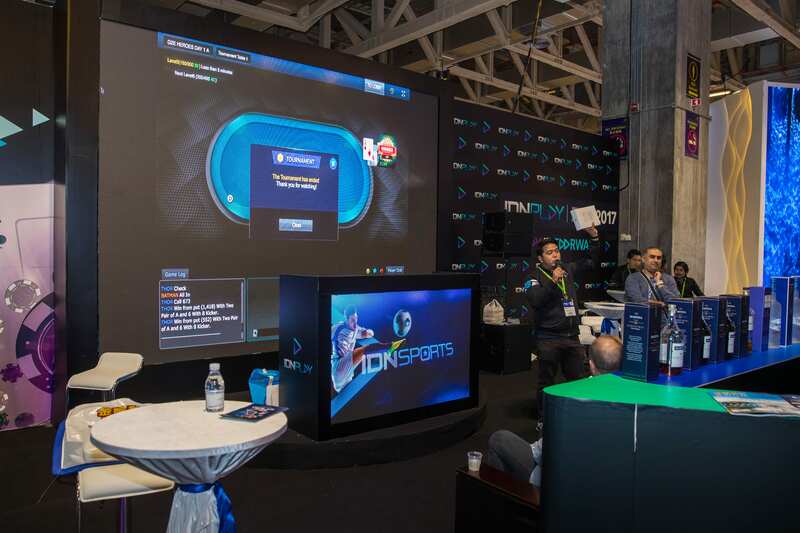 Not only IDNPoker on display in this exhibition but also IDNSports and IDNLive. Both products are already widely used by agents in Indonesia. And now we are ready to compete in the International. 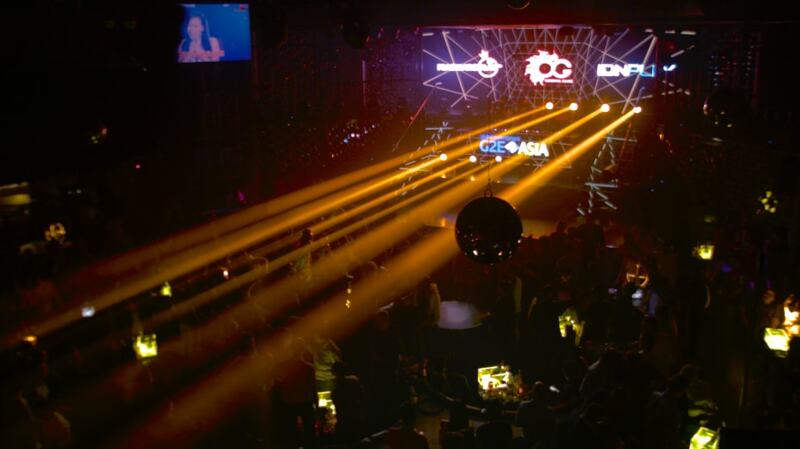 IDNPLAY Awards Night Party - Celebrated at The Venetian Macao. 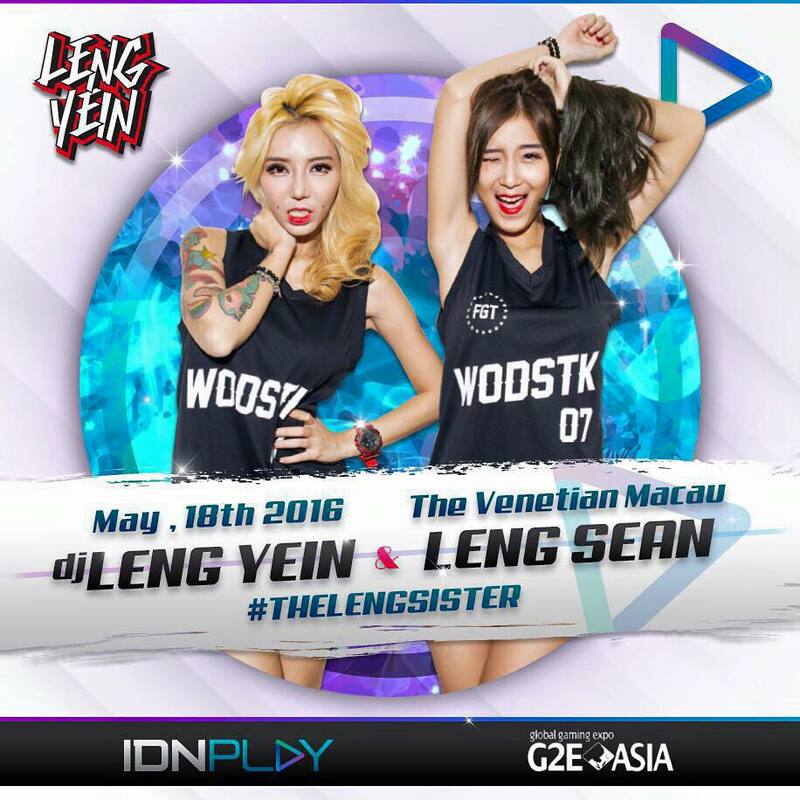 Featuring our Guest Star DJ Leng Yein the #1 Female DJ in Asia. 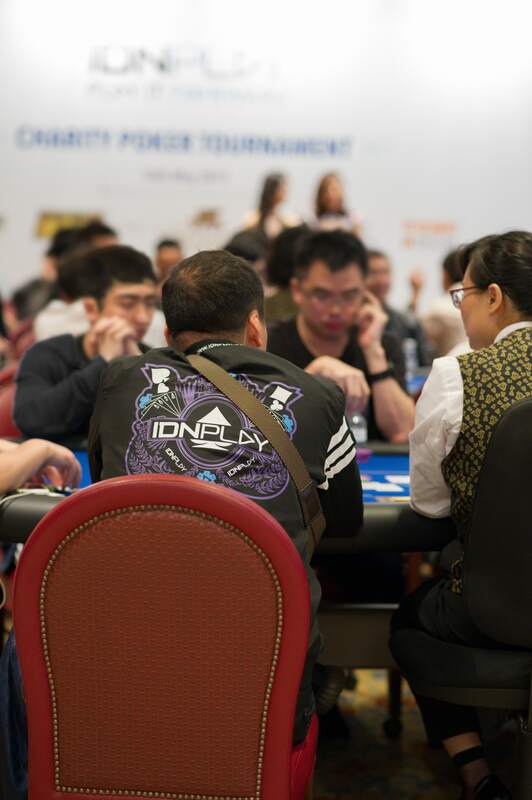 The Macau Charity Poker Tournament, a private, one-day event sponsored by IDN Play and organized by Poker King Club at The Venetian Macao, has come to a close. 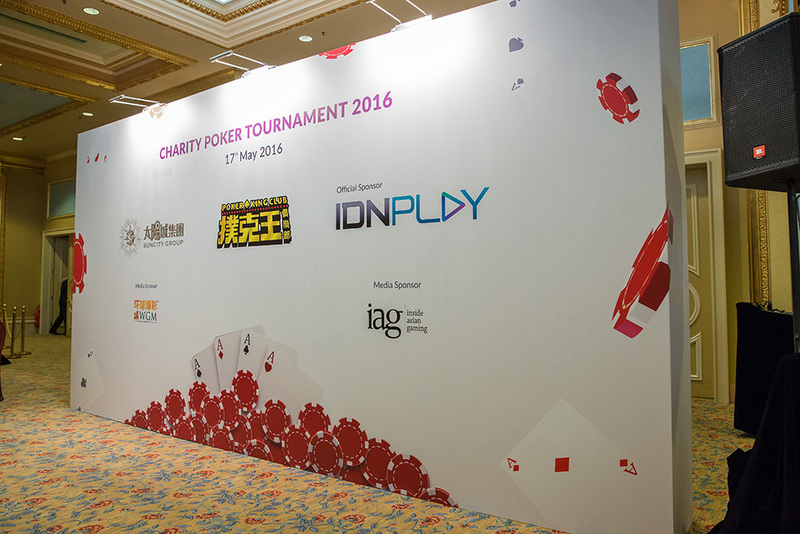 The event made a total of 144 entries, all of which were business partners and affiliates invited by IDN Play. 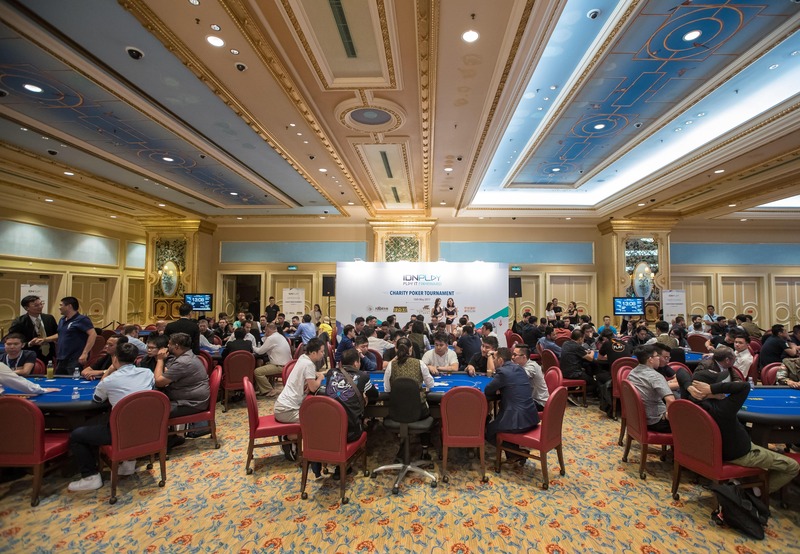 The event was made as a recreational event targeted at bringing all the partners together in a casual manner, to coincide with the Global Gaming Expo that is ongoing at The Venetian Macao at the same period. 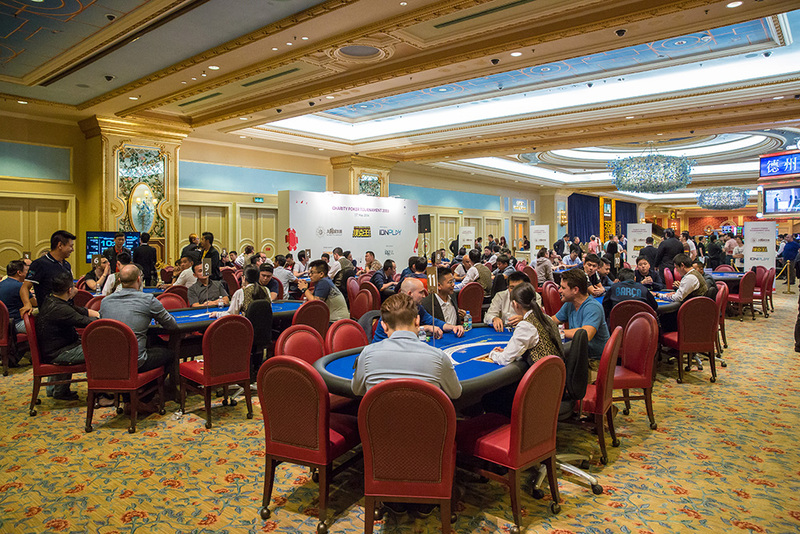 Initial buy-in for the tournament was free, with the re-entries set at 500 HKD. 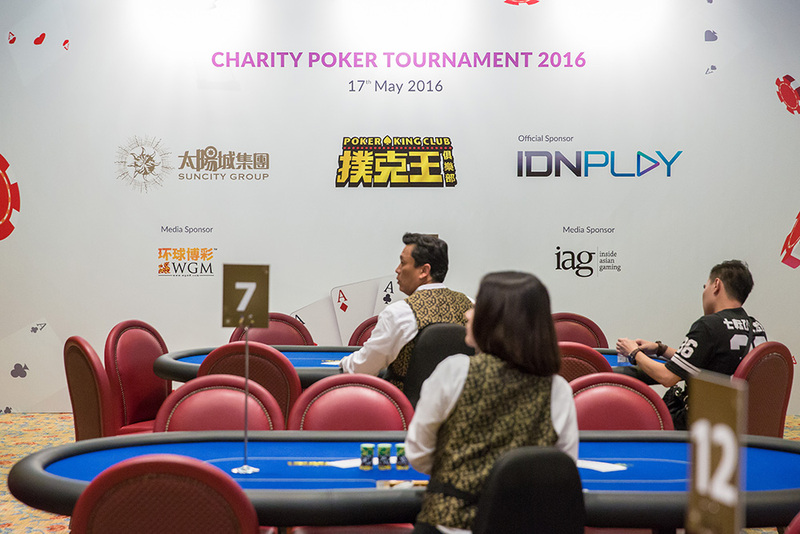 All proceeds from the re-entries were donated to the local Macau charity, Lar Nossa de Senhora de Penha. 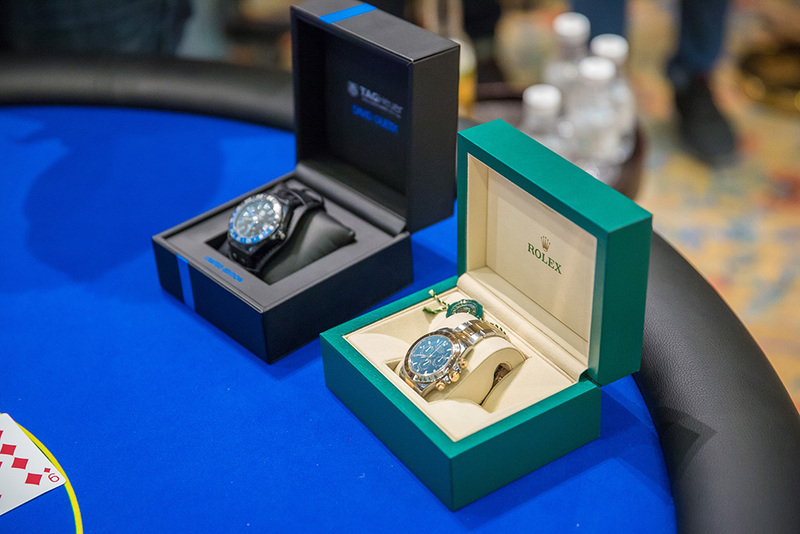 The prizes for the event were all sponsored by IDN Play, and included a Rolex watch for the winner, a Tag Heure watch for the first runner-up, and an Apple iPhone 6S Plus for the second-runner up. 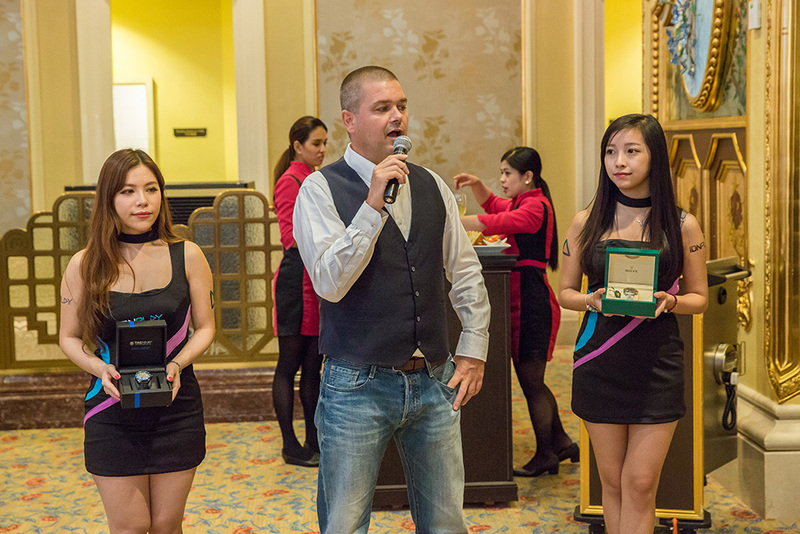 Before the tournament officially kicked off, IDN Play’s Business Development Manager, Magnus Karlsson, made a short welcome speech to the players of the event. 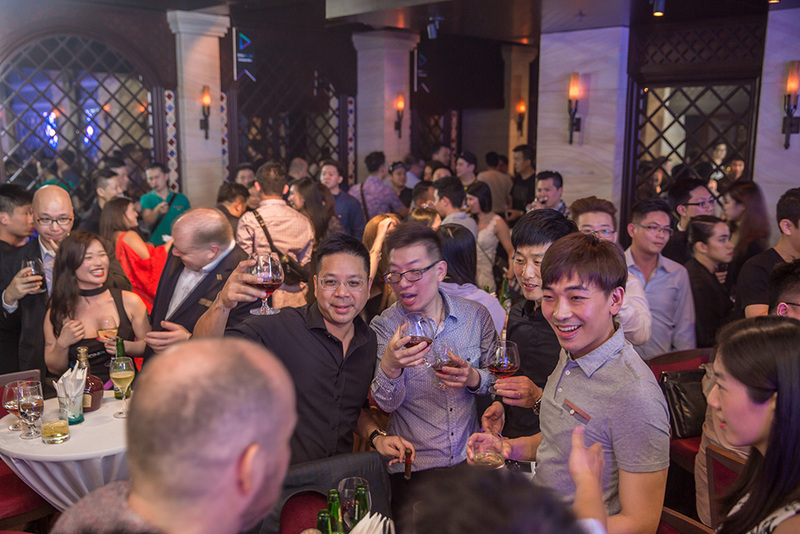 This was followed by a toasting ceremony with the VIPs of the event, including Top-level IDN Play Executives, Mr. Philip Yuen, the Service Director of Caritas Macau, Mr. Derrick Tran, Chief Marketing Officer of World Gaming Magazine, and Ms. Dorothy Lok, Marketing Supervisor from Poker King Club. After five hours of non-stop gameplay, the victor emerged from the rest. 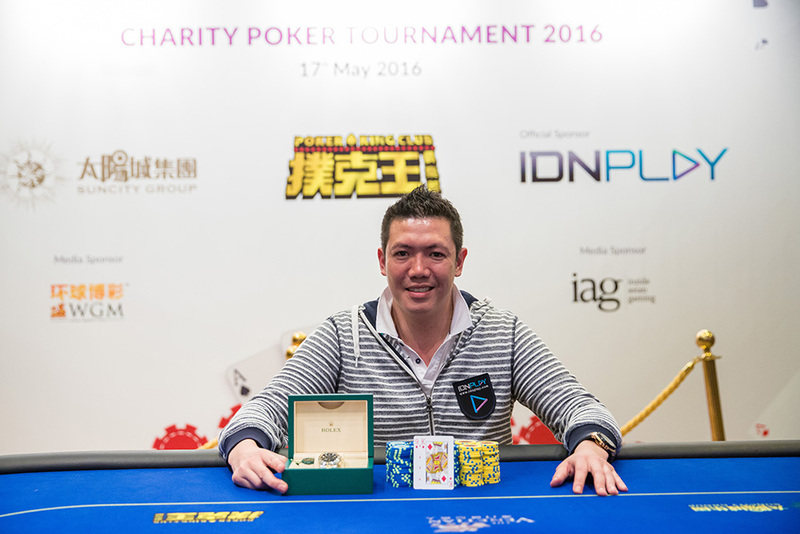 Jadeson Ho, with his winning cards of 9♢K♢, beat out Herwan Suherman in the heads-up round. 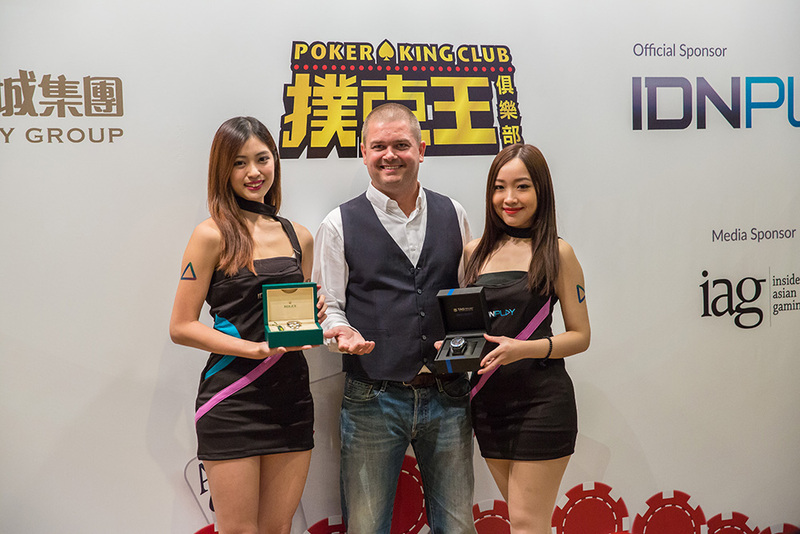 Ho Man Kit rounded up the group to win the 3rd major prize. 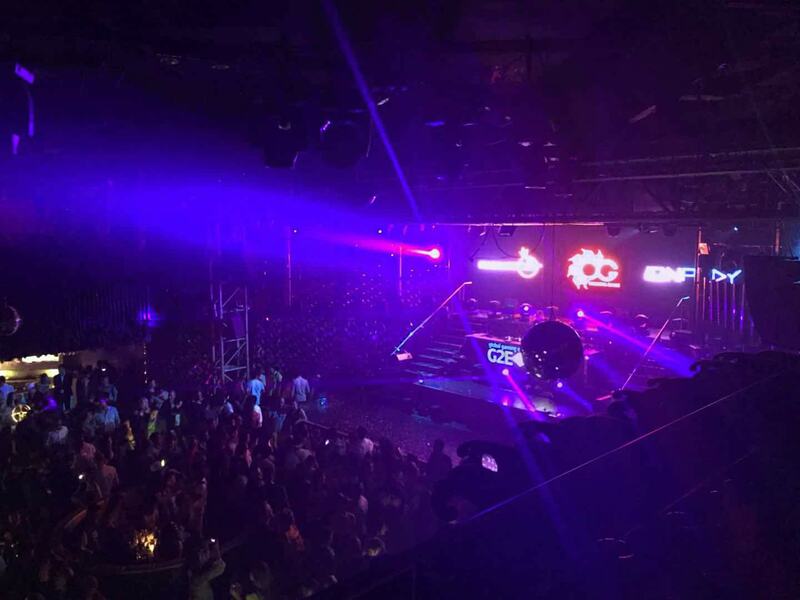 Jadeson won the grand prize, a Limited-edition Rolex Watch, for his troubles, while Herwan bagged the limited-edition Tag Heuer x David Guetta watch in second place. 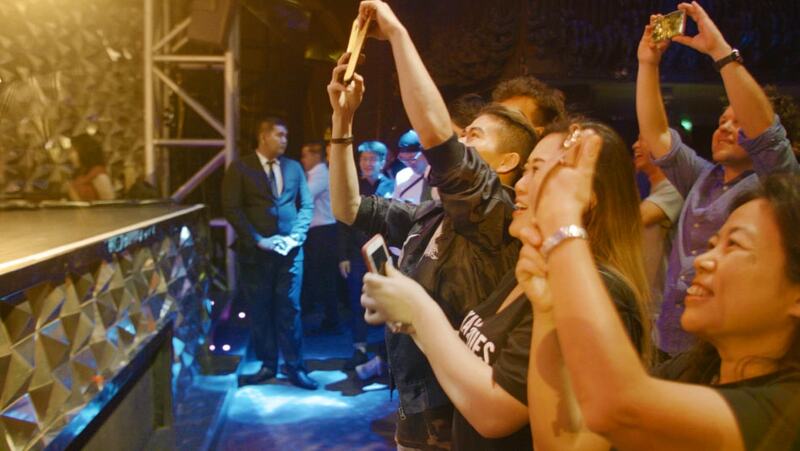 Ho won the third prize, an iPhone 6S Plus. 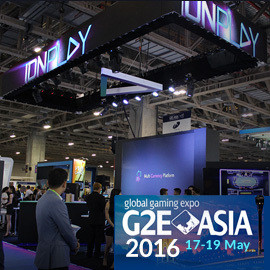 IDNPLAY cordially invite you to our exhibition at G2E ASIA 2016 at The Venetian Macao. New Game Live Texas Hold'em Poker. 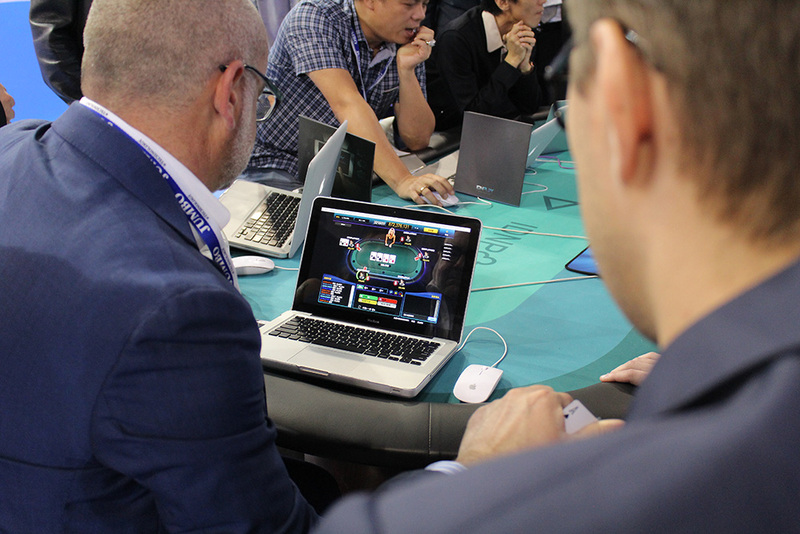 Poker games that use Live Dealer and played online. 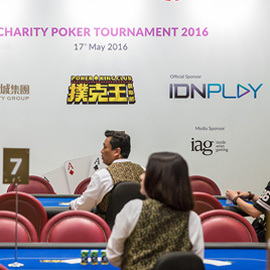 Feel the thrill of playing Live Poker Online with the greatest poker players in Asia. Comes with lots of room (Small, Medium) with 6 Players. New Game has been present. 13 cards game arranged in a 5-5-3 formation. Beat the formation with three other opponents. This game is played by four players and uses playing cards totaling 52. 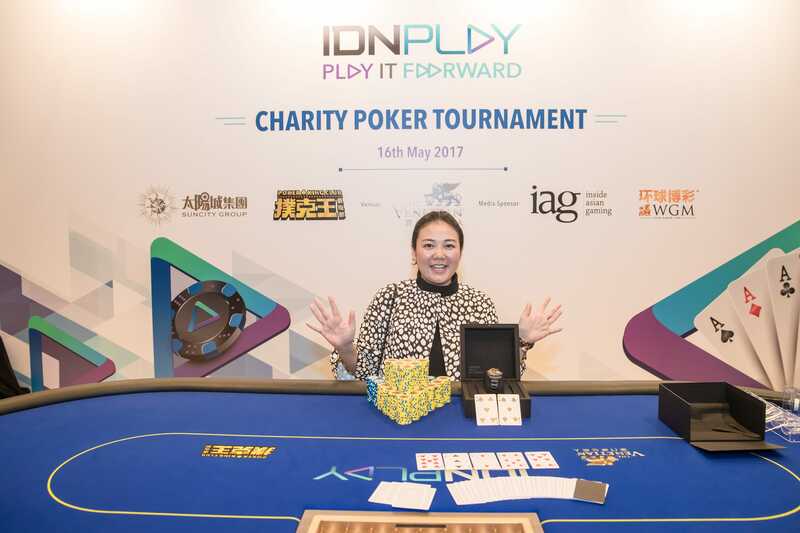 At the night of the 1st day of G2E Asia 2017, IDNPLAY focused on the other aspect of their Play It Forward campaign which is to give back to the community that nurtured and supported them throughout the years. 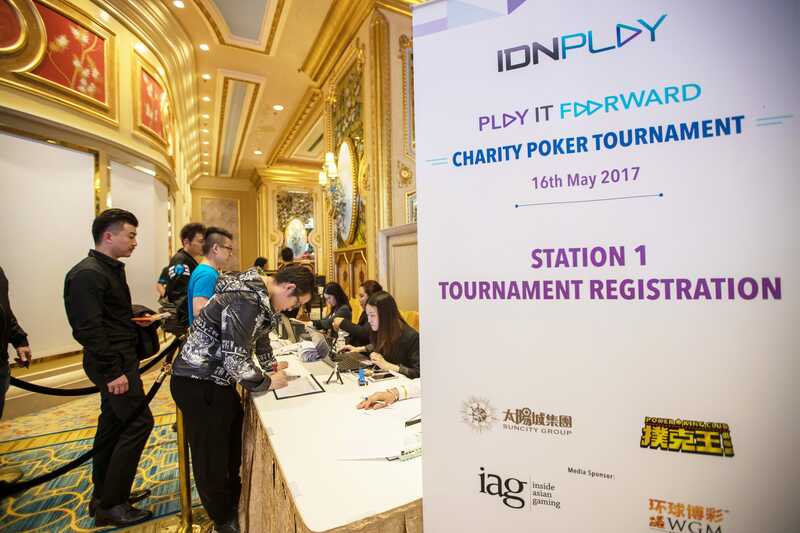 Since last year, IDNPLAY has been holding an annual charity poker tournament to raise fund to donate to local charities or causes. 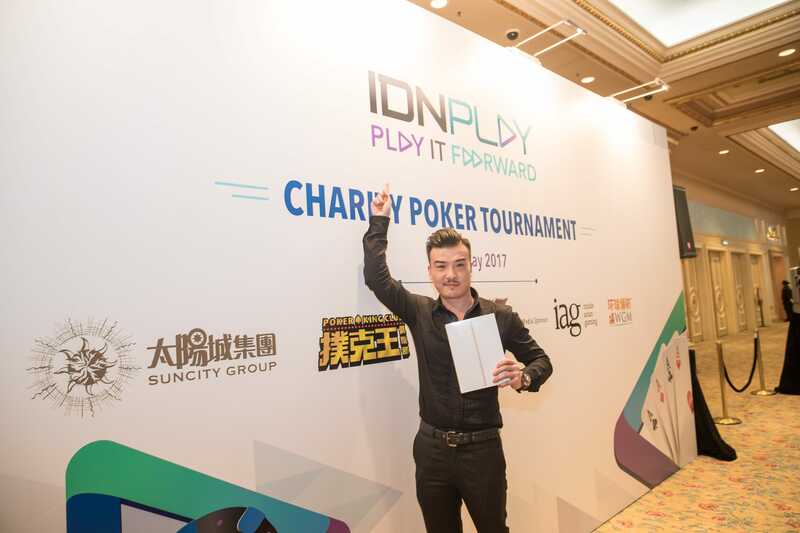 This year, IDNPLAY held their Charity Poker Tournament at the Venetian Casino where about 120 people registered to help the local charity Lar de Nossa Senhora de Penha. 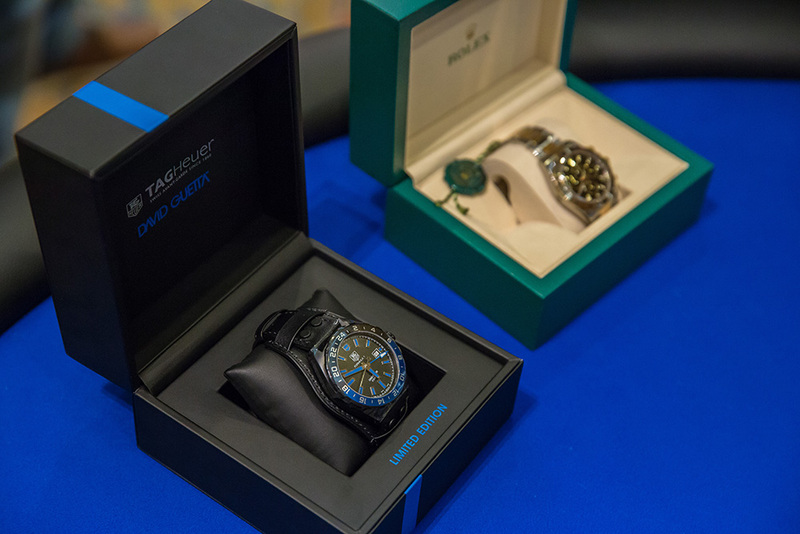 The prizes for this year’s tournament were a special edition IDNPLAY customized Rolex Submariner for 1st place, a Tag Heuer Connected for 2nd place, and a Macbook Air for 3rd place. 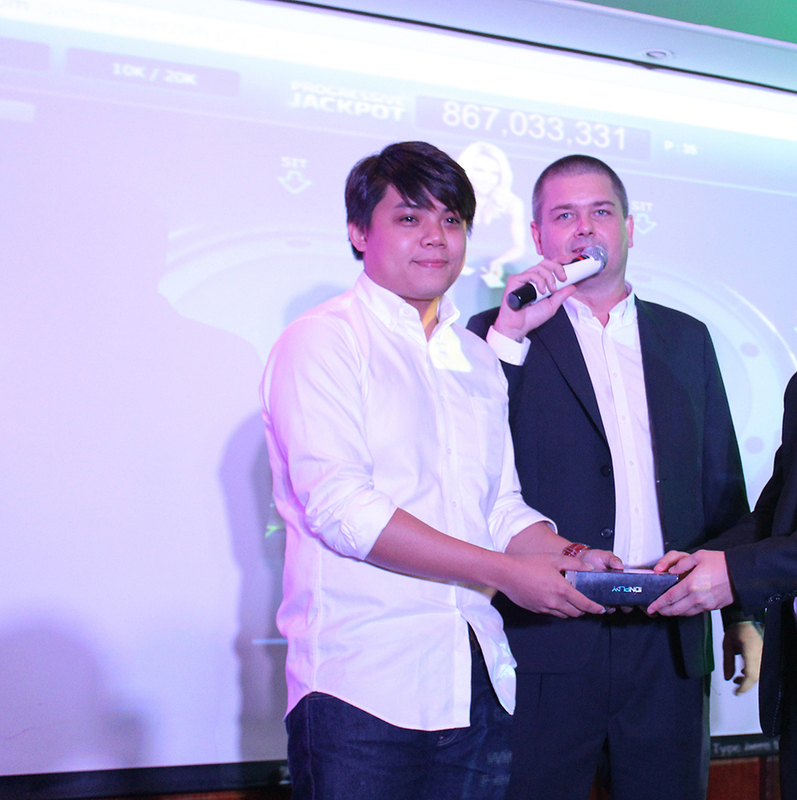 Consolation prizes consisting of Apple iPads were also given away to the 4th to 10th placers. After 5 hours of poker, the tournament successfully ended with Christine, Andy, and Mark finishing 1st, 2nd, and 3rd place respectively. 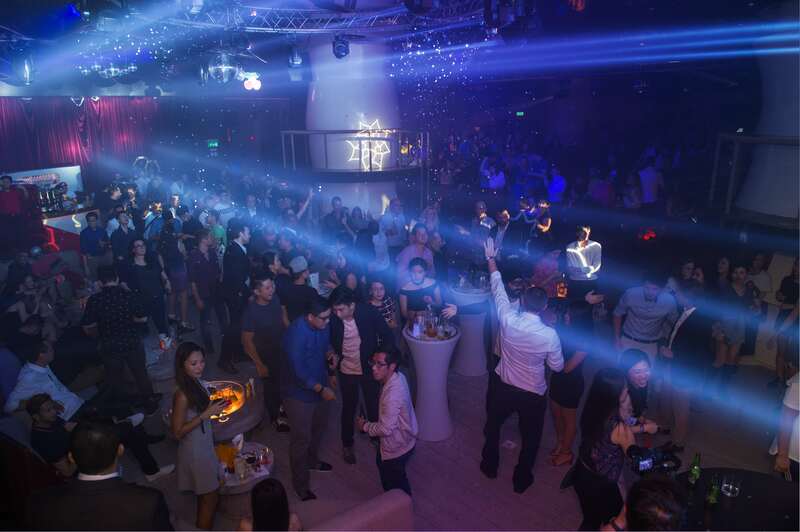 A total of 59,000HKD was collected from the re-entries and was given to this year’s beneficiary. The local charity of Lar de Nossa Senhora de Penha aims to care for and serve handicapped young people to help them explore their potential and strengthen their abilities. Their services provides accommodation, training and development, special education, medical care, physical therapy, and counseling to young people ages 15 and up with mental retardation or physical disability. 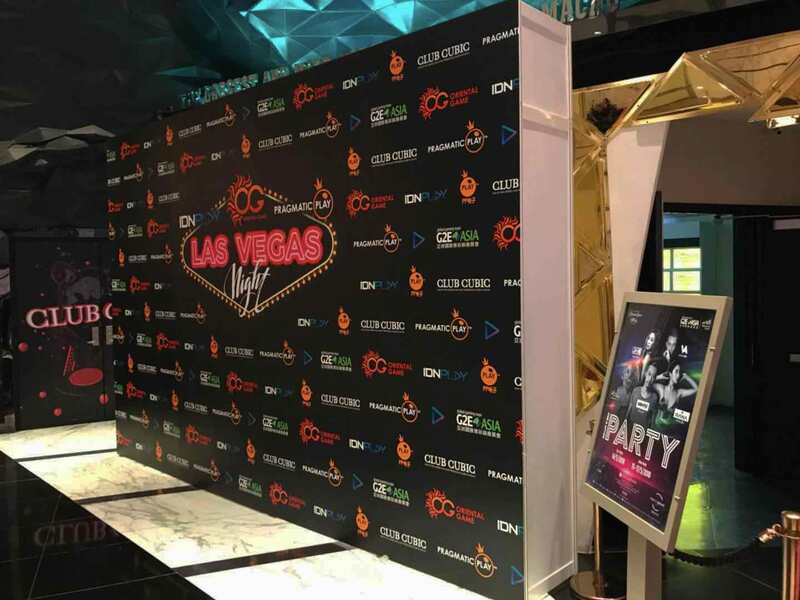 The night of the 2nd day of G2E Asia 2017 proved to be as remarkable as IDNPLAY teamed up with Oriental Game to host the party of the year. 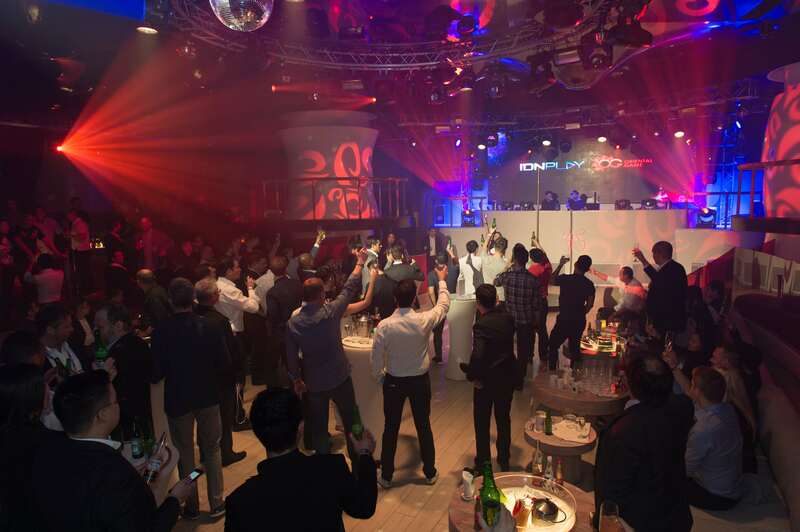 IDNPLAY together with Oriental Game organized the “Work Hard, Play Hard” party to show appreciation to their partners for their loyalty and support throughout the years. 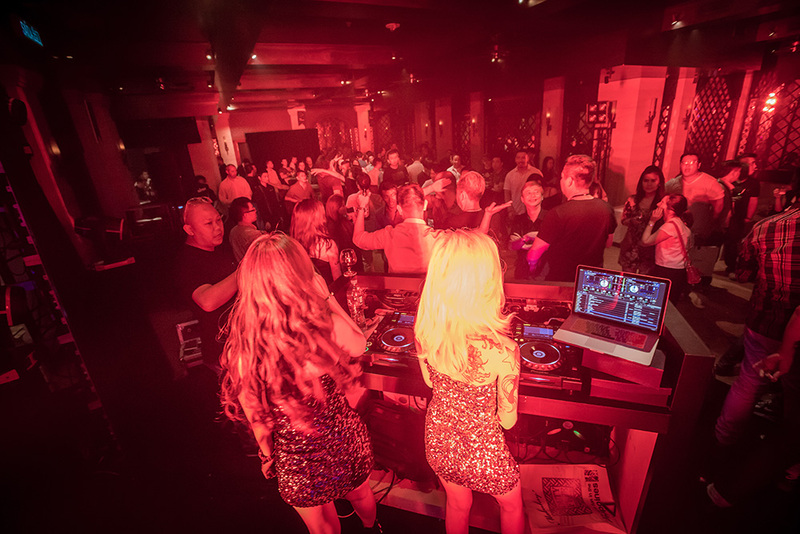 The party was led by the Leng Sisters together with DJ Yasmin and the pole dancer performers. 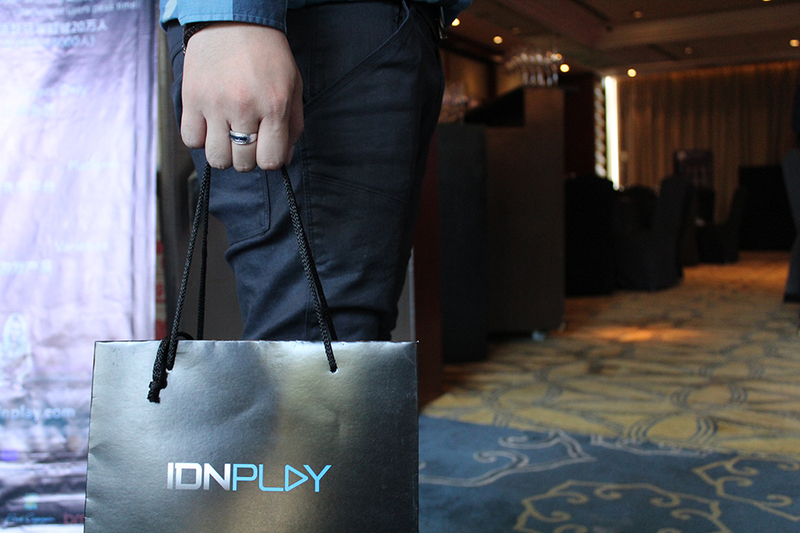 The IDNPLAY Girls were also present to entertain the guests. 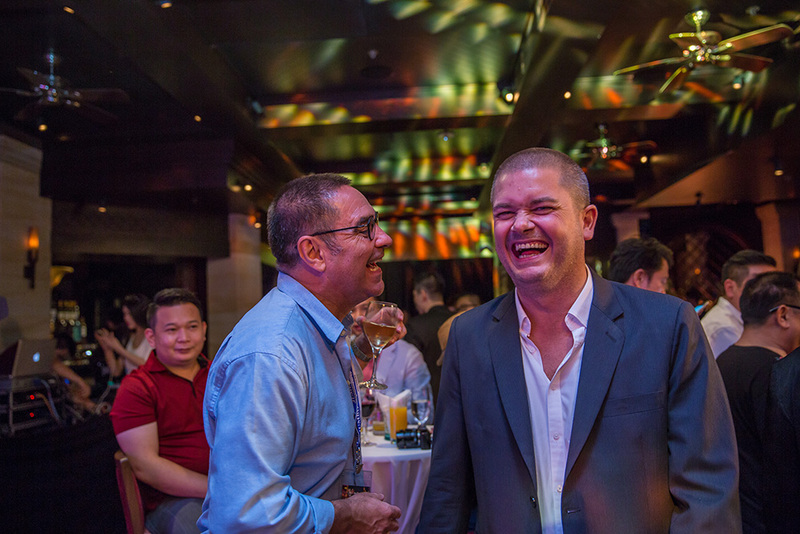 Aside from music, dancing and mingling, there were also surprise games to add more fun to the party. 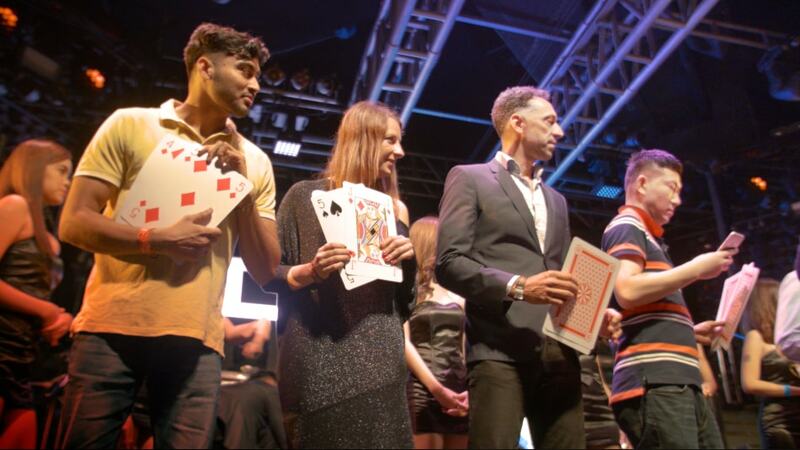 The guests actively participated from the mini-quiz games to bingo where winners brought home a solid gold playing card that was custom-made for the event. 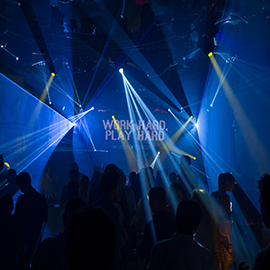 The collaboration of IDNPLAY and Oriental Game definitely shows that they can work hard and even party harder. 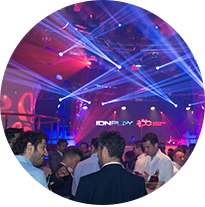 If this event is any sign of what IDNPLAY can do, then we can definitely look forward to greater things from them in the years to come. 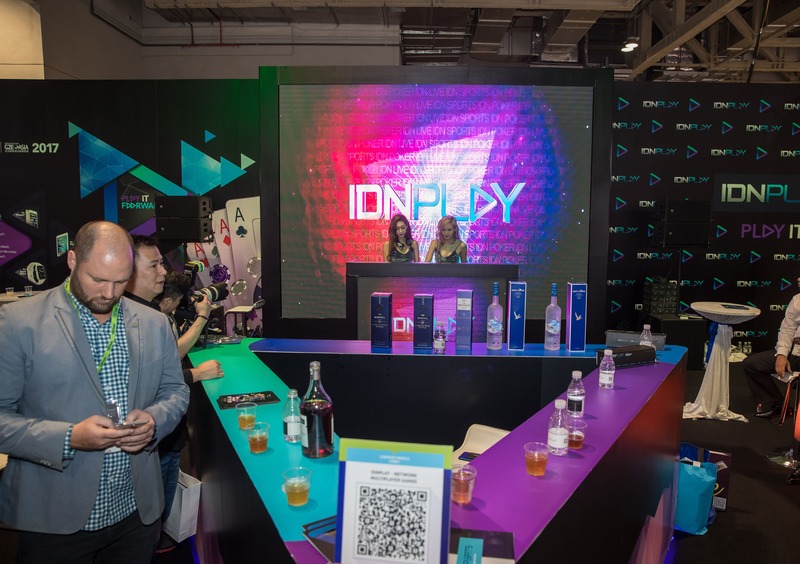 What makes the difference from last year, IDNPlay not only show off their products, but we held Online Poker Tournaments and Night Party enlivened by DJ Leng Yuen which is number one female DJ in Asia. 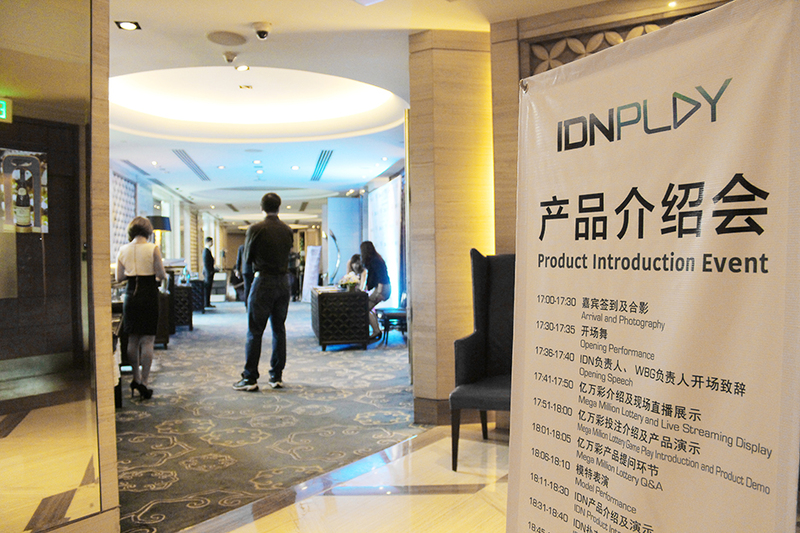 In early 2016, IDNPlay Product Knowledge Event. 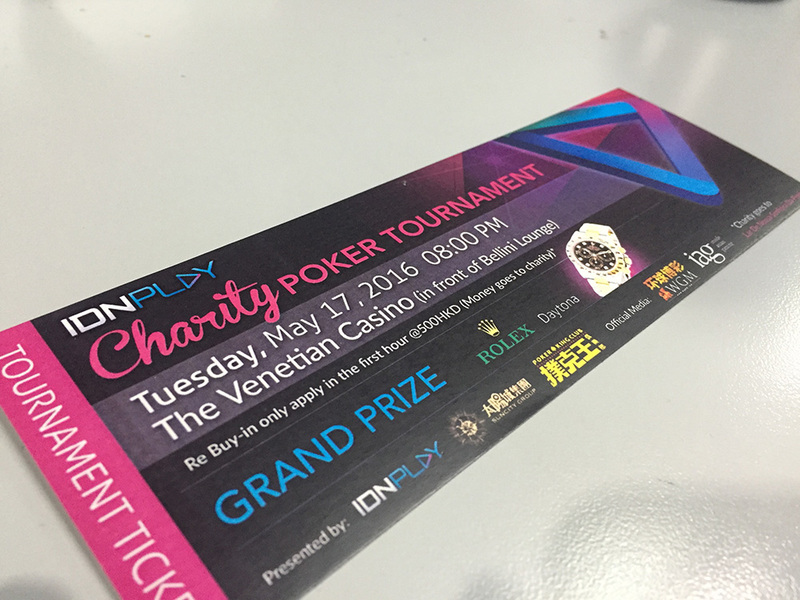 This event wasn't just introduce IDNPlay products, we also organized Online Poker Tournament using IDNPlay Platform. 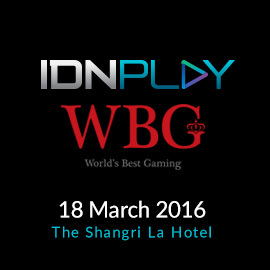 WORLD'S BEST GAMING IDNPLAY 2016 attended by 100+ people who are not familiar with poker. 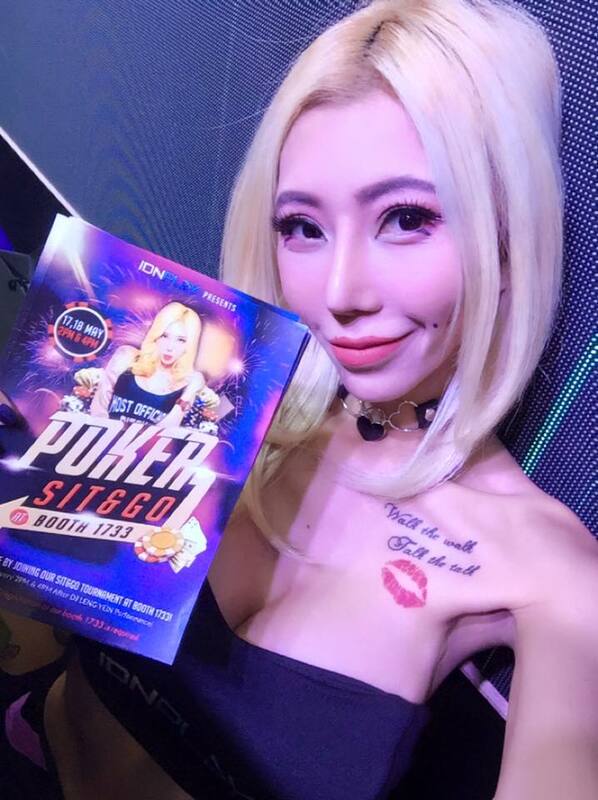 The poker tournament we held was very interesting. 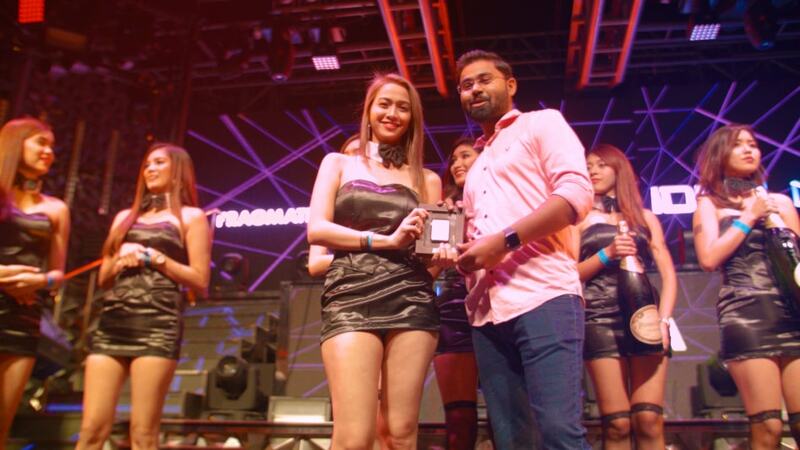 Tournament winner got a gift IPhone 6s from IDNPlay. 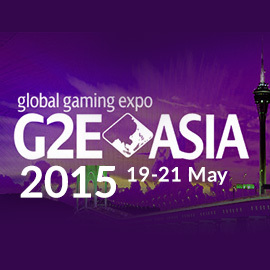 GLOBAL GAMING EXPO G2E ASIA 2015 is the largest exhibition game held in ASIA. Not only Asia who follow this expo, but from other parts of the world. 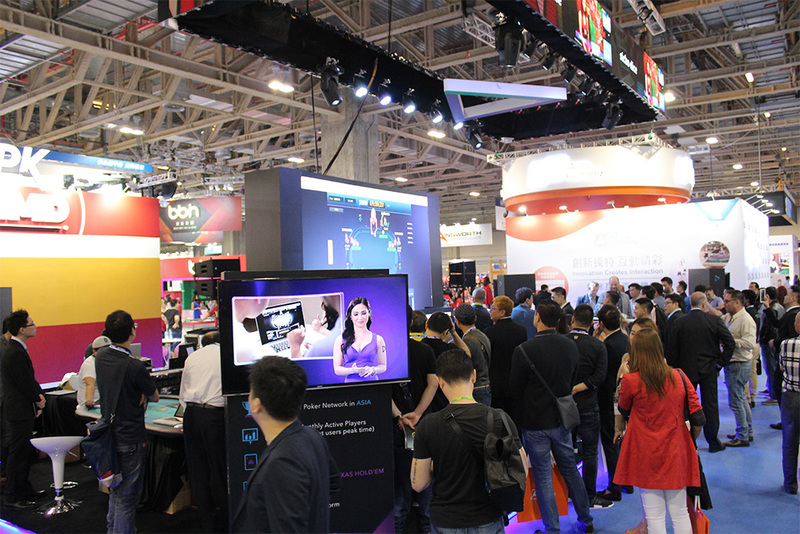 Every year Reed Exhibitions has always held the Global Gaming Expo Asia in Macau, which is the heart of the gaming Asia and one of the fastest growing gaming market in the world. 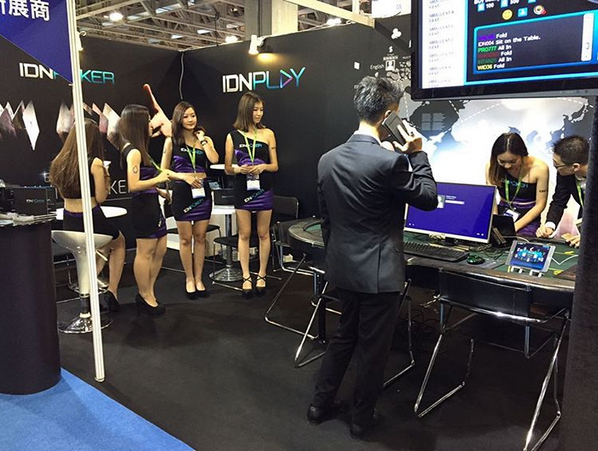 IDNPlay participate in the G2E Global Gaming Expo Asia 2015. 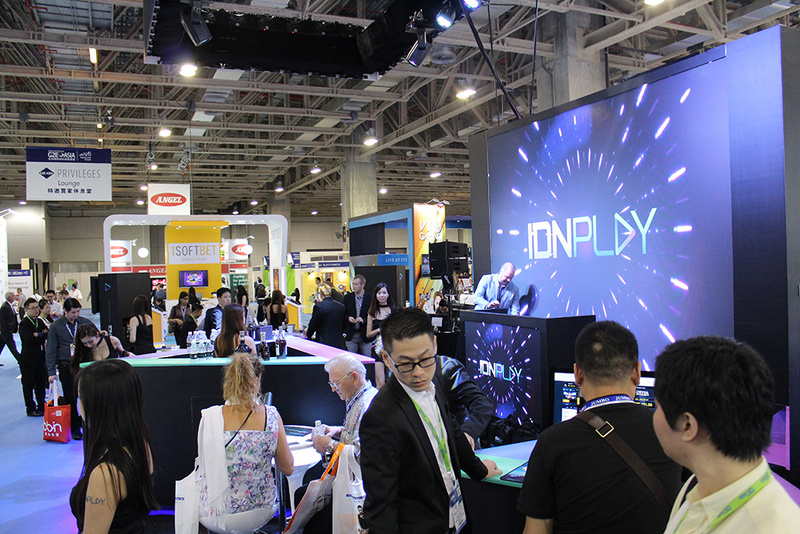 This is the second exhibition to showcase IDNPlay gaming platform in international circles. 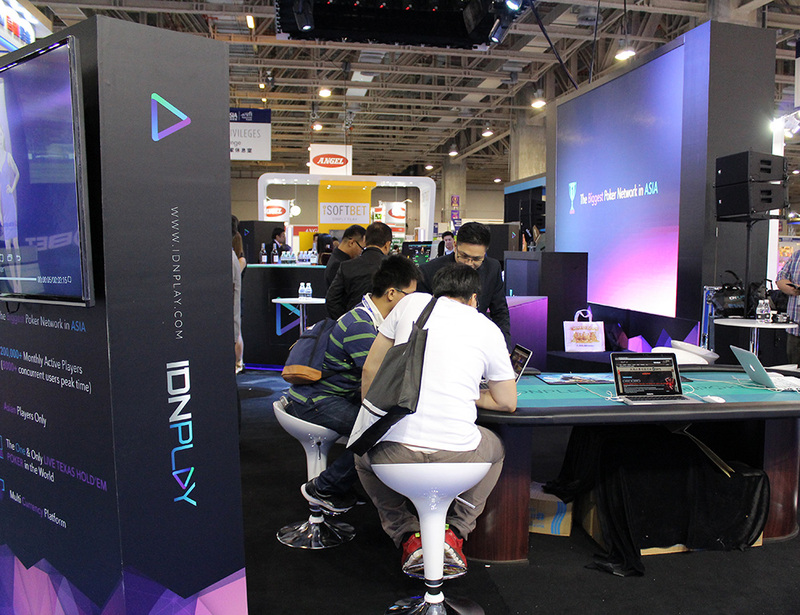 Similar with the previous exhibition, we showed IDNPlay Poker game complete with software that fits the operator needs. 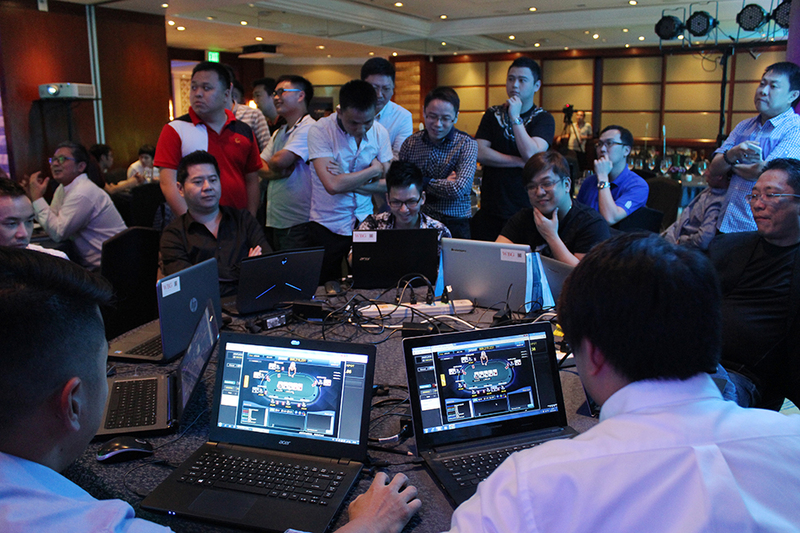 Conference And Exhibition Biggest game in Asia. 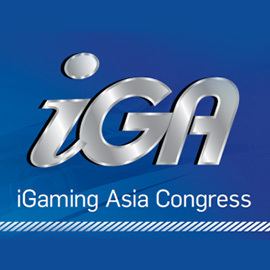 iGaming Asia Congress 2015 was held on 17 to 19 March 2015 And followed Over 250+ online games such as Sports Betting, Online Casino, Lottery, Poker, Games Interactive, Social Games, and Mobile Games. 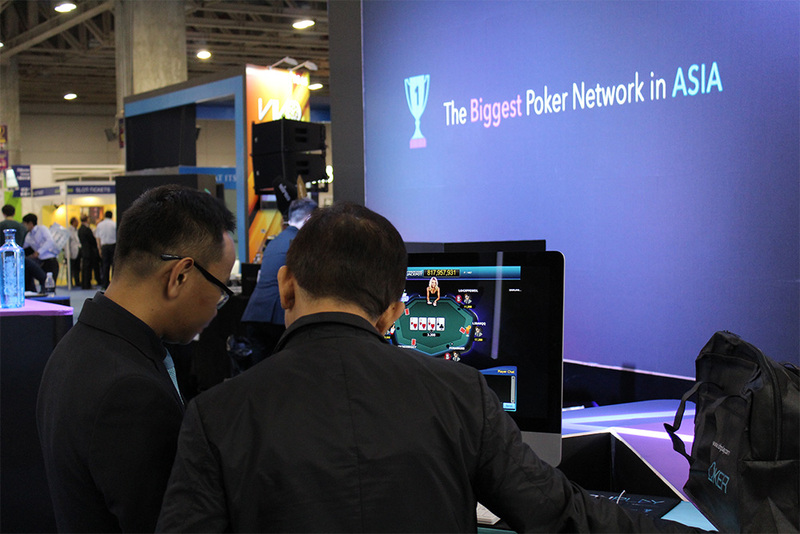 In order to enhance B2B And B2C objectives,we were not Just showing our exclusive Poker game, but inform audience that We are the largest Asian poker network with close to a decade of expertise. Our critical mass of users with all partners has a footprint of over 100 million to 1 billion potential users.